Situated in the center of Midtown, Tucson, the Arizona Inn is a tranquil resort destination located in a quiet neighborhood, but close to the heart of the city. The perfect starting point for relaxation and recreation, our hotel is just minutes from iconic attractions, outdoor activities, shopping, and nightlife, while retaining the serenity of a desert resort. The Arizona Inn is located less than ten miles from Tucson International Airport (TUS), an easy 20-minute drive away. Learn about the history of flight at the Pima Air & Space Museum or enjoy world-class live entertainment at the Fox Tucson Theatre. Visit the historic Mission San Xavier del Bac or tour the University of Arizona campus, located just five minutes from the hotel. 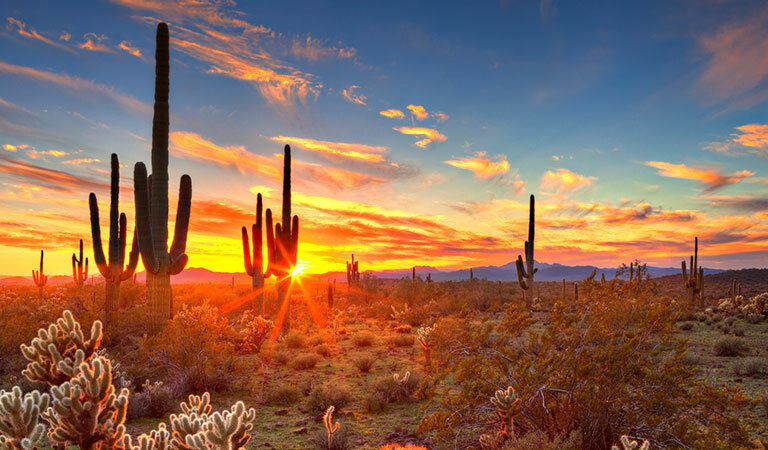 Wander through exhibits at the Arizona-Sonora Desert Museum or explore scenic nature trails at Saguaro National Park. The beauty, history, and culture of the Southwest is all within reach of our hotel in Tucson. Experience the ultimate in relaxation with access to an array of recreation activities without leaving the hotel. Go for a swim in the heated outdoor pool, hit the tennis and croquet courts for some friendly competition, or hop on one of our complimentary bikes when you're ready to explore Tucson.